I am exploring the narratives showcased on Korsakow. This system was developed by Florian Thalhofer. I am interested in this methodology as it seems to be a very film based system, that is it uses moving or still image to tell an narrative. As described on the website Korsakow is both interactive and rule-based. The user can choose what to watch out of a selection. But this selection is limited by choices made by the filmmaker. So what you select is limited. The first film I watched on Korsakow was Troubling Your Horizons by amateur filmmaker Jennifer Proctor. I chose this exactly because Proctor states that this is an ‘experimental, interactive home movie’ so I was interested to see what could be made by a person new to Korsakow and to moviemaking. The content is a mix of moving and still images. Some are quite abstract. Some of the stills are broken into multiple screens with a soundtrack. Some of the moving images only have diegetic sound. Some are interviews. As a viewer I found I wanted to know where the interviews were. I was interested in hearing about Proctor’s long love-affair with the sea. But the content selection doesn’t indicate what type of content you will be viewing, you just go by the name. Admittedly Proctor calls this an ode and a tribute so it’s not intended to provide a narrative or present a particular character. So to change things up I looked at Money and the Greeks made by the founder of Korsakow Florian Thalhofer. This film explores the Greek monetary crisis in 2012 before we really hit the crisis this year. The stated aim of the film is to show not tell and clearly it wants to allow viewers to form their own opinions rather than be told by the filmmaker what their opinions should be. The work is based on interviews with Greeks about the financial situation they were facing. But then I hit this. 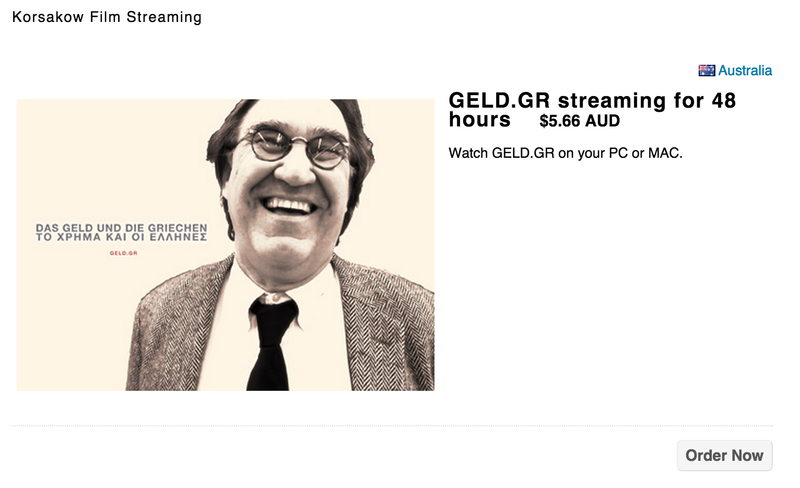 You have to pay $5.66 AUD to stream the video. That’s a show-stopper! So I moved on. The next I watched was Digital Humanities in the BeNeLux Region made by Ben Miller in 2014. 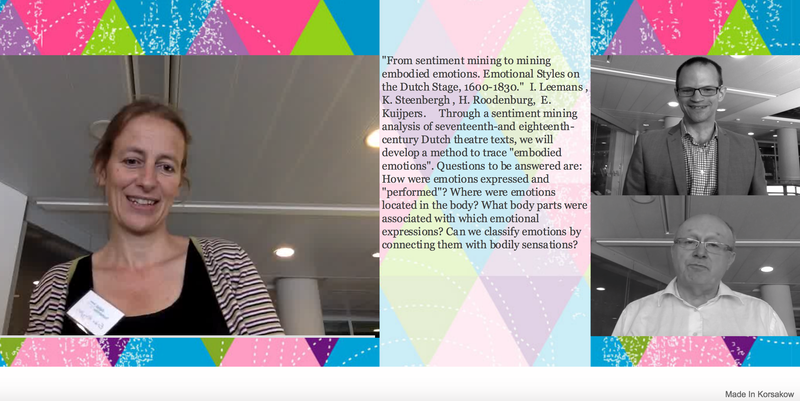 Again this is based on moving image, specifically interviews with academics about what is Digital Humanities. It starts with what is essentially a lecture being read from a page by an academic. It’s not a very vibrant or engaging start and doesn’t entice me further. But I went further and the work is indeed made up of interviews, most it seems shot at the same conference. This could be interesting for those in the area but doesn’t engage as a media work on most other levels. What this does make clear to me is that if you are basing an interactive work on interviews you want to be able to see a timeline of all the interviews and select them rather than as in this case have to work your way through the interviews based on how the filmmaker has linked the clips via keywords. 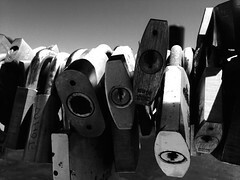 The last one I looked at was by Adrian Miles from 2009 a work called Fragments. 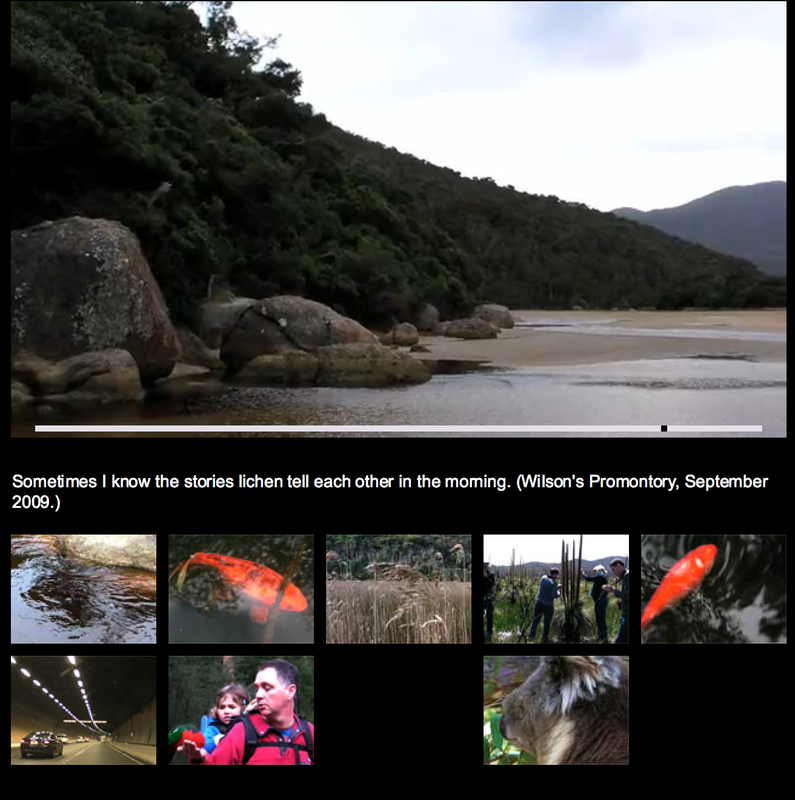 This one worked for me more as there was a bigger range of videos offered to select from and I felt the connection between each group that was offered. This was a personal work that captured moments of life, movement, sharing moments with family. I couldn’t find an end to this work and perhaps that doesn’t matter. In conclusion, if the Korsakow system is user friendly it could be a useful tool to construct a digital documentary without needing to have programming skills and is a tool I will be keeping in mind as I plan my interactive documentary project this semester.